The Navajo Tribe lived in the "Four Corners" area of the United States. 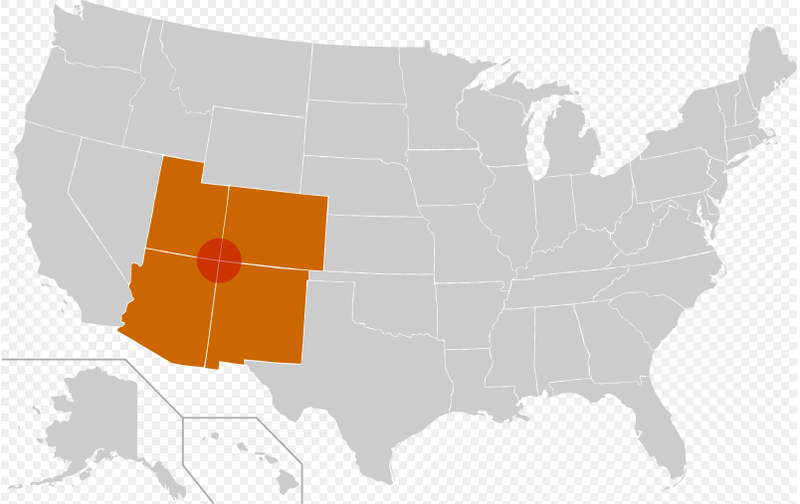 This area includes Arizona, New Mexico, Utah, and Colorado. It is called the "Four Corners" because the four states all meet in one corner. 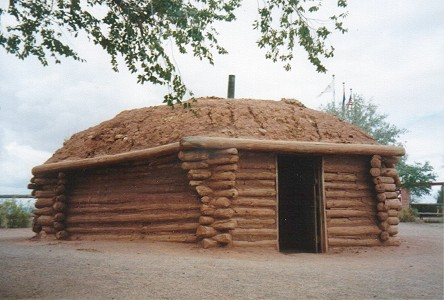 Navajo lived in "hogans". Hogans are earth houses made up of wood and clay. Hogans were shaped like domes. The Navajo would have to walk to get from place to place. When the Europeans brought horses to America, the Navajo tribe was able to use them as well as walk. To eat, the Navajo men would hunt using bows and arrows, while the women would farm and keep track of the animals. The men would hunt deer, antelope, and small game while the women would grow corn, beans, and squash. They would also keep livestock, such as sheep, for meat and wool.The Navajo men would make jewels while the women would make rugs and pots.They would use sheep and jewels for money. Click here to go to the next tribe!